While visiting Disneyland I decided to make a much needed stop at World of Disney to do some shopping. 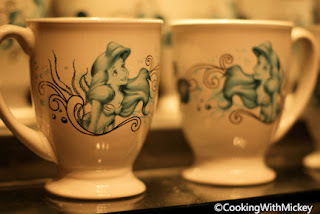 To my surprise I found these very grown up plates and mugs with Ariel on them. 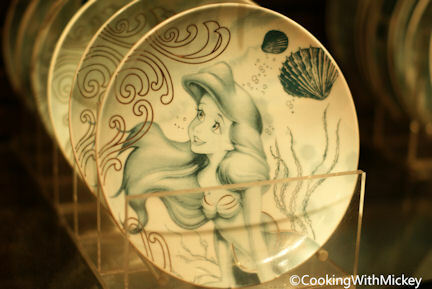 Now "The Little Mermaid" fans can pick up beautiful dishes with their favorite princess that aren't plastic. do you know where they were made? To bad I live all the way over in New England:( I would go buy some plates and mugs right now!